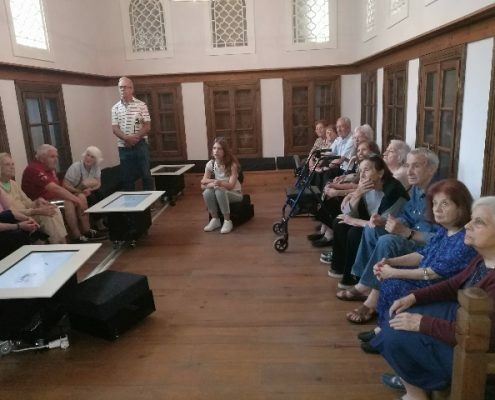 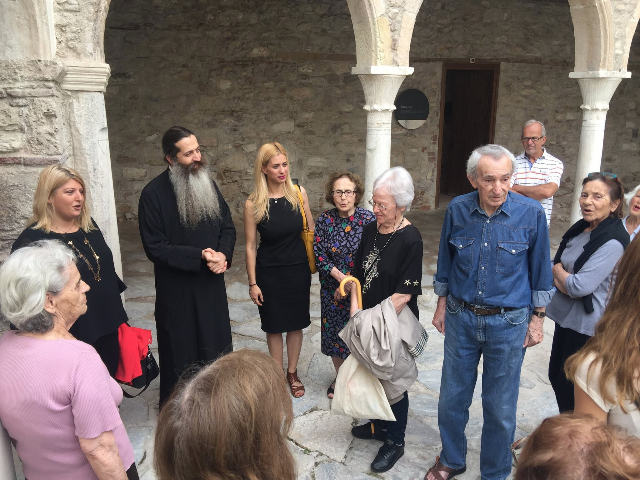 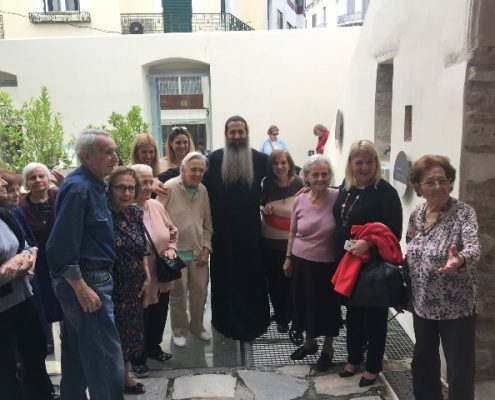 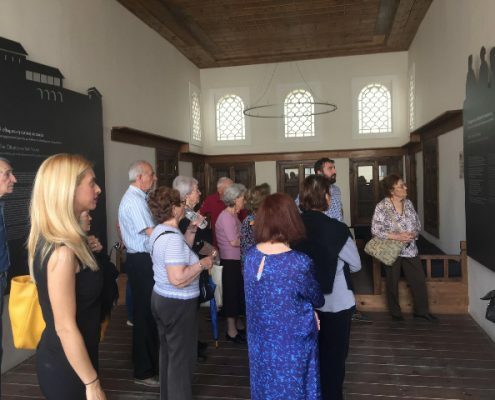 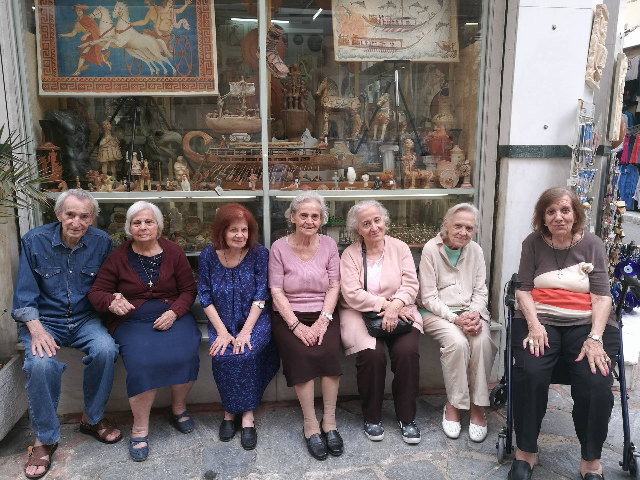 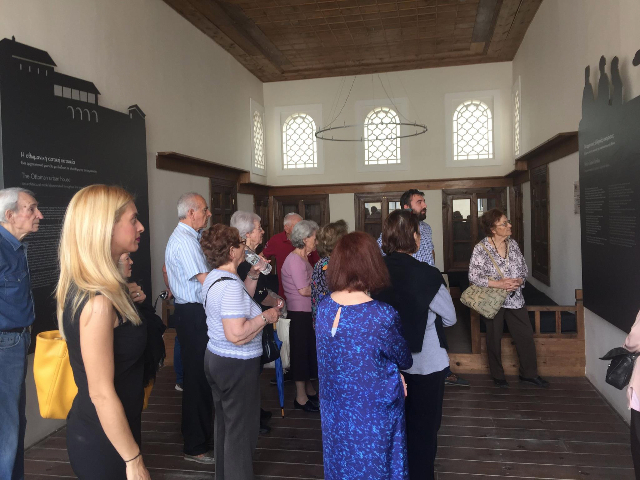 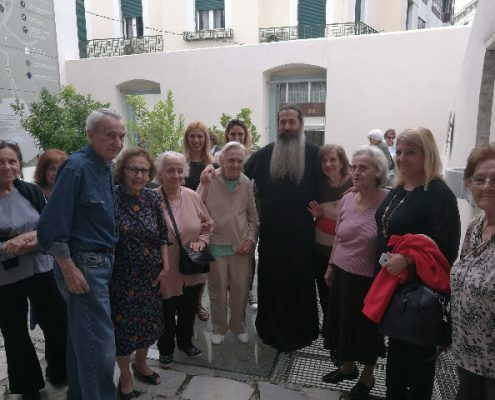 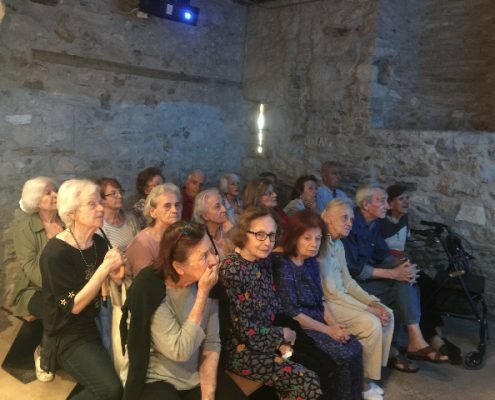 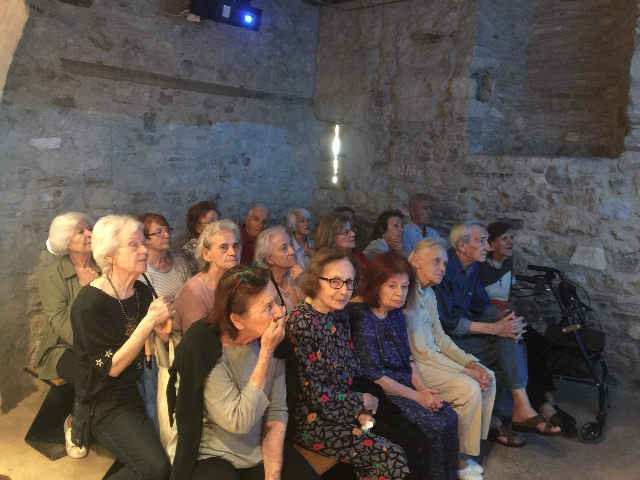 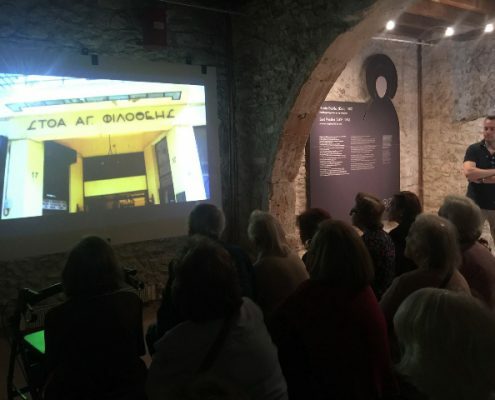 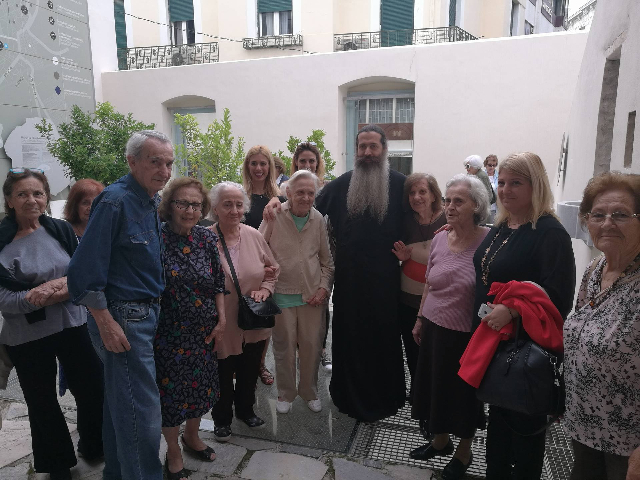 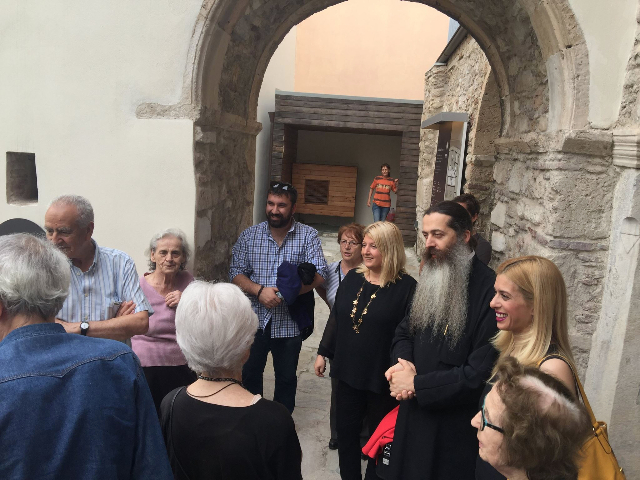 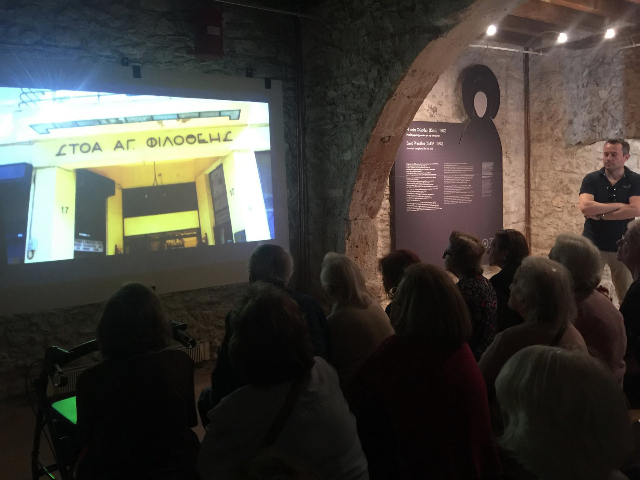 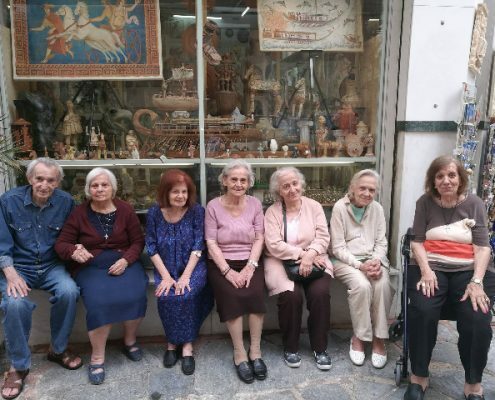 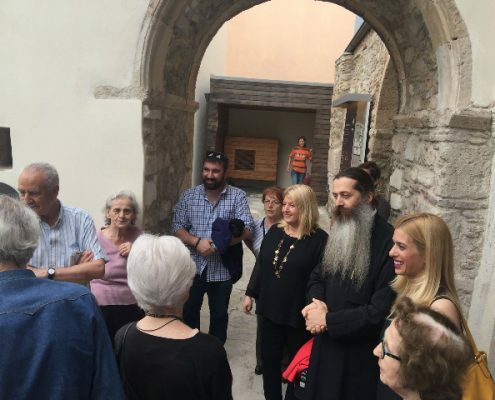 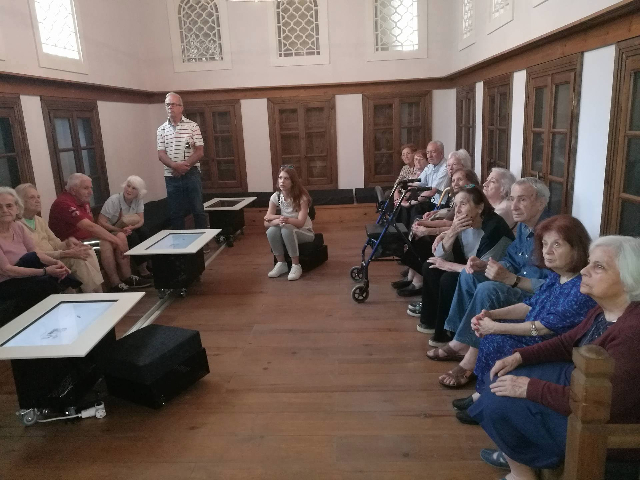 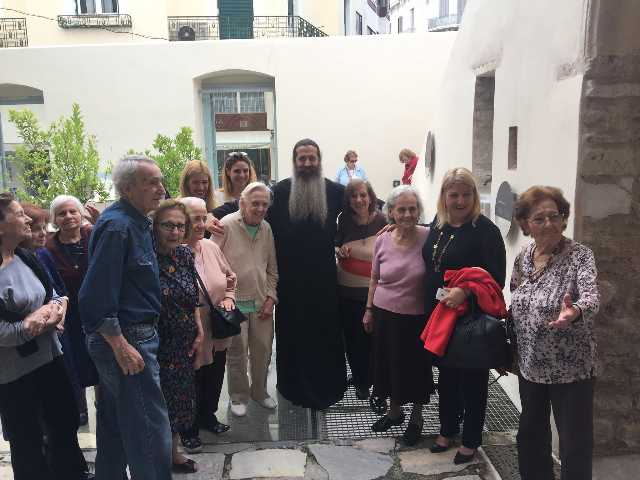 On June 8 the “Karelleio – Alzheimer’s Unit” Day Care Center and the boarding school beneficiaries had the opportunity to visit the Archangel of Agia Filothei in Plaka, one of the few architectural remains of the Ottoman period and the oldest Residence in Athens. 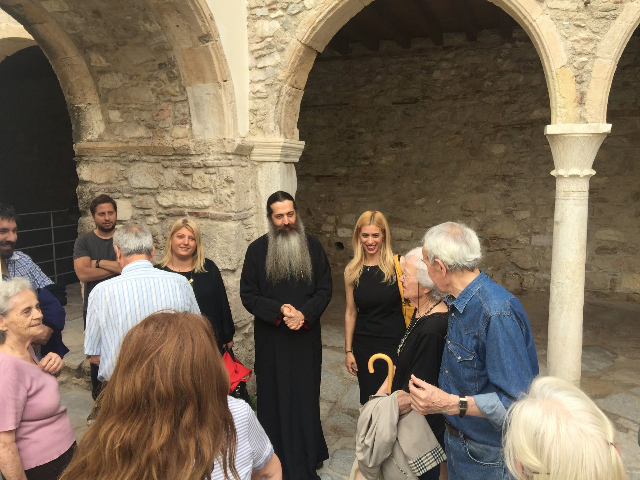 The visitors were guided around the imposing mansion and learned about the life and work of Saint Filothei. 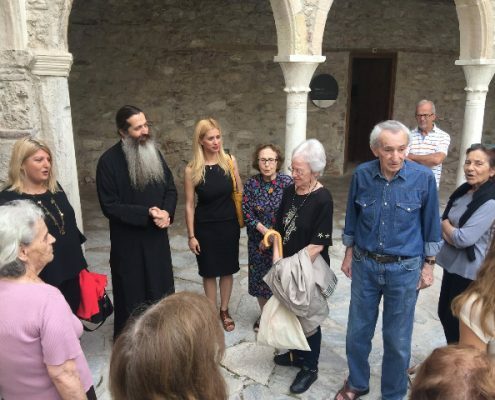 The visit was blessed by the First Archbishop of Athens Archdiocese, Mr. Symeon Voliotis.